German metallers POWERWOLF will release their seventh album, “The Sacrament Of Sin”, on July 20 via Napalm Records. The follow-up to 2015’s “Blessed & Possessed” was recorded at Fascination Street Studios in Örebro, Sweden with producer Jens Bogren, who has previously worked with KREATOR, DRAGONFORCE, SEPULTURA and PARADISE LOST, among others. The official lyric video for the song “Incense And Iron” can be seen below. 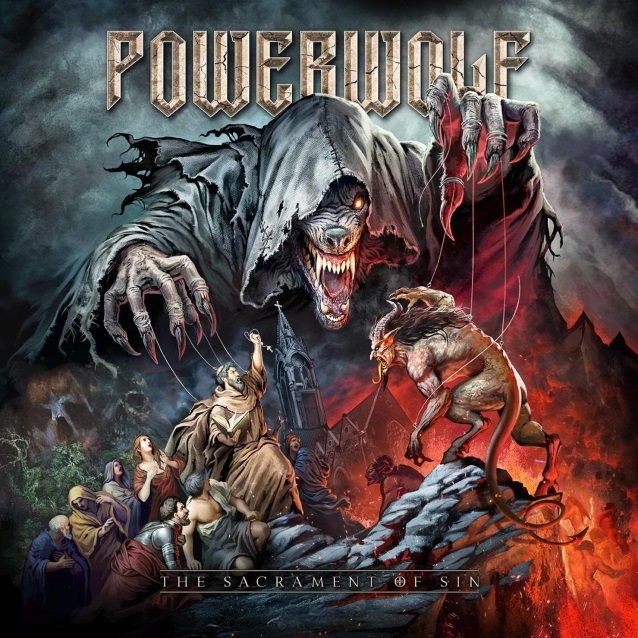 “The Sacrament Of Sin” also contains POWERWOLF‘s first ever attempt at a power ballad in the shape of a song called “Where The Wild Wolves Have Gone”. POWERWOLF will embark on the European “Wolfsnächte Tour 2018” in the fall. Swedish melodic metal sensation AMARANTHE and Germany’s heavy/glam high flyers KISSIN‘ DYNAMITE will be joining in as special guests.